Posted in: Uncategorized. Tagged: computer, photography. While looking for the perfect product to keep my photos safe, I discovered that sometimes simple is best. My requirements were simple: ensure that all my digital photos, stored on a locally attached USB drive, were duplicated to another drive attached to my AirPort Extreme. My photos are in RAW format (specifically DNG files) and will never change, so I only need to concern myself with new files. The n and R ensure that all new files are copied from the directory tree. Files already there are not re-copied. In short, a quick and efficient means of getting just the new photos copied over. Posted in: Technology, Uncategorized. Tagged: computer. Posted in: Technology. Tagged: computer, iphone-ipad-ipod-ios. Using your iPhone, you can connect to a Windows PC or Mac OS X and see the files, programs, and resources exactly as you would if you were sitting at your desk, just on a smaller screen. via VNC for iPhone and iPad – Download Free Lite Version. VNC for easy access to Mac OS X and Windows PC. Apple’s new OS-X that will allow the things you do on your computer to be linked to the things you do on your iPad, iPhone and iPod devices. Messaging has been added to allow sending messages to other devices as well. I don’t know what kind of things any other computer/OS manufacturer has but it seems to me that all the things most Mac/Apple users used to think about Microsoft&Windows trying to take over the world, they have played right into Apple’s hands as they ARE taking over the world. I know I would be lost without all the connectivity I have between my devices and computers, to quote another marketing cliche’ “I’m Lovin’ it”. 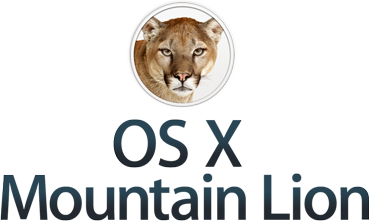 Apple – OS X Mountain Lion – Move your Mac even further ahead..
Official Portal 2 Website – About. 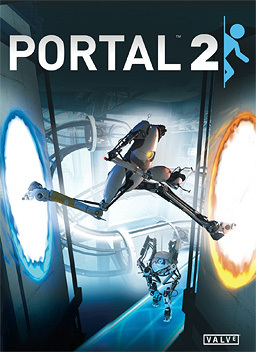 Portal 2 – Wikipedia, the free encyclopedia. Software Downloads: Xbox 360 Controller for Windows. Download JoyToKey 3.7.4 Free – It is a keyboard emulator for joysticks – Softpedia. Joystick Mapper Released on Mac App Store. Tattiebogle.net – Mac OS X XBOX 360 controller driver. Posted in: Photography, Technology. Tagged: computer, iphone-ipad-ipod-ios. On iPhone, iPad, and iPod touch, you can capture photos and videos using the built-in camera, or save images from a variety of applications (such as Safari, and Mail) to your device. The following document explains how to import this media content from your device to a computer. via iOS: Importing personal photos and videos from iOS devices to your computer.